This is lovely, so pretty, a nice recovering card ! 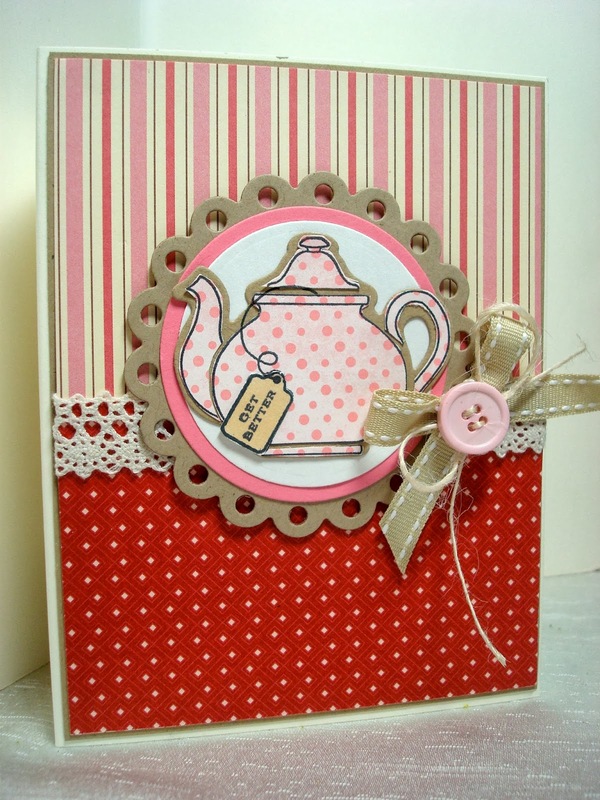 Love this teapot card! So cute with that little tag.